I see, you're trying to improve your emulator to get those weird games that didn't follow the rules to work by finding all the edge cases for incorrect usage. Those can be kinda fun to get working without breaking everything else. The Russian hacker "Ti" made an almost complete mouse patch for Dune, but lost interest. It already works well except building placement has problems, sometimes it drifts a bit. Could anyone else please take a quick look, perhaps (i hope) it's a quick fix? I ask because there's a whole Russian Genesis Dune romhacking community out here. The goal is to play those 480x464 hacks with the mouse. Here we check for overflow, and then we properly sign extend the value using the sign bits. See how the extension is done? "mx |= mx ? 0xFF00 : 0xFFFF;" That prevents the drift you see in the game. If you're going as far as hacked emulators to use a resolution it wasn't designed for, is that really worth playing vs just running the PC version? The drift issue would still happen without the hacked resolution (you can get the mouse to report a large enough motion to trigger the bug). Just posting an update on the Dune mouse patch. Here's my current code to read the mouse. Of note, it assembles (using asmx) to 58 bytes smaller than the original code (400 bytes vs 458) and handles overflow and sign properly. Tested on my Model 2 Genesis + Model 2 CD + 32X with both a Japanese Sega Mouse and a US Mega Mouse, it's smooth as silk. Note: I could pull the main loops for reading the header and packet out as a subroutine to make the code even smaller, but I wasn't trying to make the code as small as possible, just smaller than the original code despite the extra processing on the packet. EDIT: Pulling the three-line handshake out as a subroutine reduces the size to 346 bytes. No noticeable impact on the game (I didn't expect any as the cost of the bsr/rts is minimal compared to the overall length of mouse handling). EDIT 2: Note that while the code above halts the Z80, strictly speaking, it isn't necessary. There's a bug in the MD where under certain conditions, if you don't halt the Z80 while reading the IO area, the Z80 rom access cycle time becomes shortened until you reset the MD. With the original old, slow roms Sega and other devs used when the system first came out, you did need to halt the Z80. However, devs soon realized that higher speed roms could still meet the faster cycle time, so it didn't matter if the cycle time was shortened. As faster roms became cheaper, more and more games quit halting the Z80 while accessing IO. The code above only halts the Z80 because the original patch did, and I wanted to leave the patch alone as much as possible while fixing mouse handling. Big thanks again to Chilly Willy for fixing this & Russian hacker Ti_ for creating the initial Dune mouse patch! 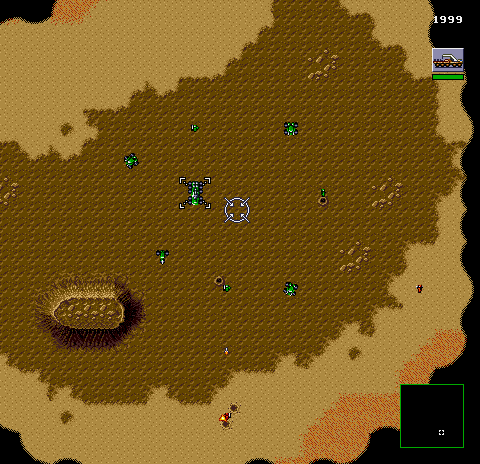 I would also like to point out a second way to play Dune (and few other Genesis games) with a mouse. The Gens32 Surreal emulator (latest version from 2013) comes with a few internal mouse drivers! Then just open the rom with Gens32Surreal.exe & press SHIFT + M to enable the mouse, that's it.